Created in 1873, Levi's® jeans are the original, authentic jeans. They are the most sucessful, widely recognised and often imitated clothing products in the history of apparel. 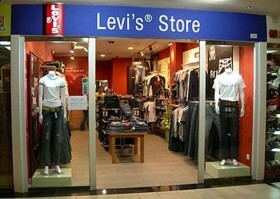 Over successive generations, Levi's® jeans have captured the attention, imagination and loyalty of diverse individuals. As the inventor of the category, the Levi's® brand continues to define jeanswear with the widest range of products available, from quitessential classics such as the famous Levi's® 501® Orginal jean, to favorite fits and styles in the Red Tab™ and premium collections.